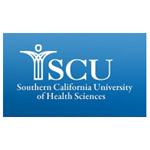 Stevens Strategy provided interim Chief Financial Officer Services to Southern California University of Health Sciences after the CFO left the institution. Our needs for a strategic Interim CFO, while we conducted an external search for a Vice-President of Administration and Finance, were fully met and exceeded all expectations. Mr. Bob DeColfmacker quickly analyzed and understood the complex interaction of our financial situation in relation to accreditation, board of trustee culture, campus morale, and the challenging economy. He instantly earned respect and confidence from the campus community and represented the University with the highest professionalism and credibility. Bob was the consummate professional at all times and provided both support and opposing opinions during private meetings and Cabinet discussions. Stevens Strategy brings a team rich in talent and experience.